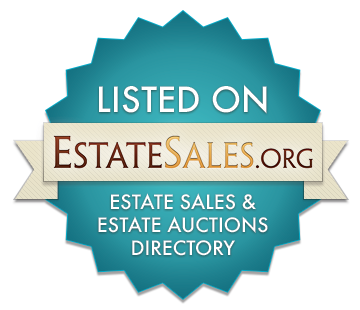 In most cases an Estate Sale is an on location tag-sale held at the private residence of an individual who has recently passed or has relocated to a nursing home or assisted living facility. In this instance, the beneficiaries or heirs need to liquidate the contents of the home so that the house can be sold. We understand that handling a loved one’s estate or liquidating your own personal items can be a difficult and emotional task along with possibly having to deal with funeral arrangements as well. With "Family" Estate Sales, we understand many of these items may have deep memories associated with them. Our goal is to eliminate much of the unwanted stress normally associated with such situations including funeral services or Probate. We can assist attorneys representing the estate beneficiaries, heirs or trustees when necessary. Some of the benefits of using Antelope Valley Family Estate Sales include a professional and effectively managed sale including our appraisal services, targeted advertising, signage, Internet coverage, staffing and negotiation all according to your specifications and requirements. One major benefit of using our company is that we can offer you a (total clean out) option at no extra cost in most cases. Throughout the entire process, your home and its contents will be treated with the greatest respect and consideration. Are you in the process of downsizing your lifestyle by going to a smaller home or condo? Having an Estate Sale can be a key component to making the transition. If you are within the San Fernando Valley & Los Angeles County area, "Family" Estate Sales of Los Angeles can help and assist you in deciding which items you won’t be needing in your new place. From contemporary to traditional to antiques, you name it, we sell it. Typically we sell collectibles, furniture, accessories, artwork, clothing, tools, appliances, jewelry & watches, garden equipment, automobiles and more. As a professional estate liquidation service company, we take digital pictures of your furnishings and items and give them their own dedicated web page on www.familyestatesalesla.com Your page and information is sent out to our extensive customer database prior to your sale. Additionally, we advertise your sale in local newspapers and on the Internet. We also strategically place signage to drive traffic to your sale’s location.